The Cambridge English Classics reprinted literary works in their original form without correction or emendation. The series consisted of a series of major authors and their works, issued in a series of volumes within the series. 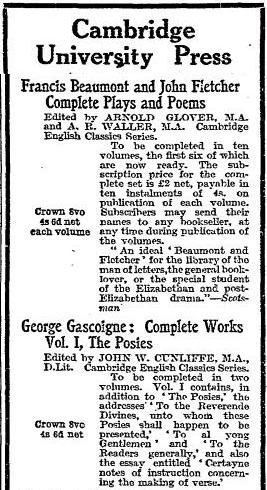 This advertisement in the London Times (Saturday, Oct 02, 1909; pg. 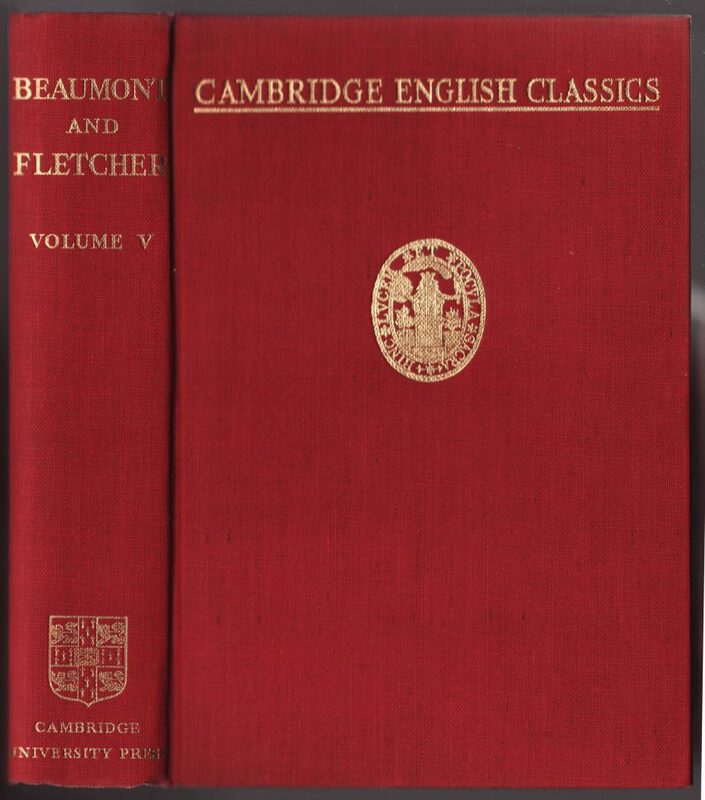 9) describes the Beaumont and Fletcher titles in the series, to eventually total 10 volumes in the series. The Complete Works of George Gascoigne will comprise 2 volumes in the series. The jackets for the series are plain and common to the series. The series name is included at the top of the jacket front. In this case, a price of 30/- is indicated on a sticker on the spine. 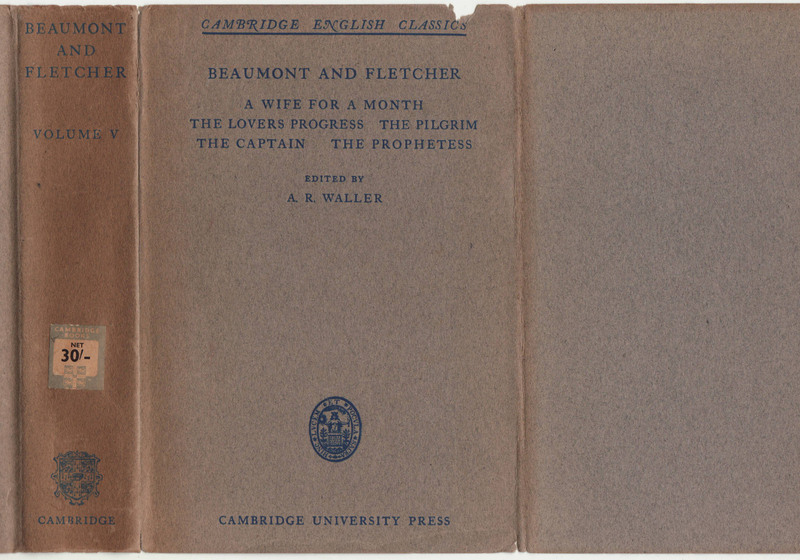 Despite the date of 1907 on the book, the price suggests this is a later edition, possibly later, from the 1920s. Several different variations of jackets seem to exist for the series. The copy below is the fifth volume, out of 10, of Beaumont and Fletcher’s plays in the series. 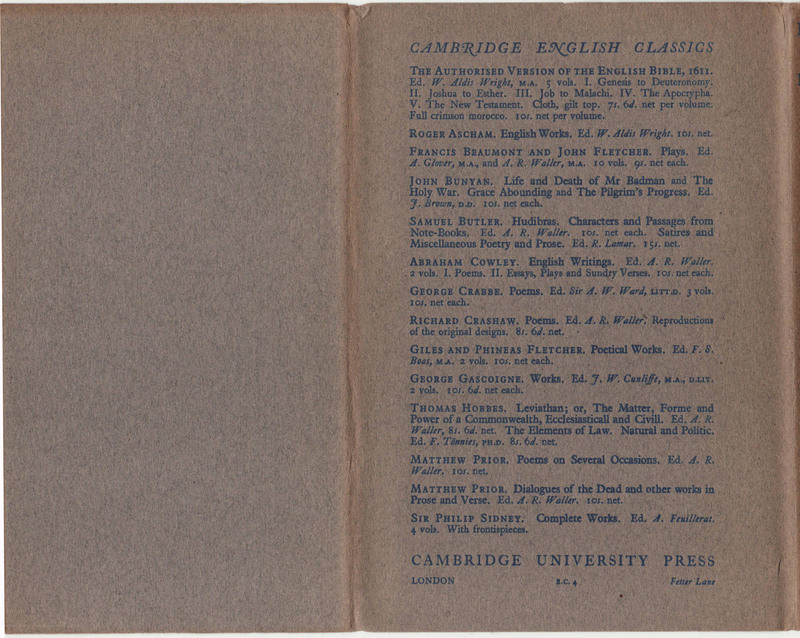 The rear of the jacket lists the authors in the series with some single and a number of multiple volume sets. 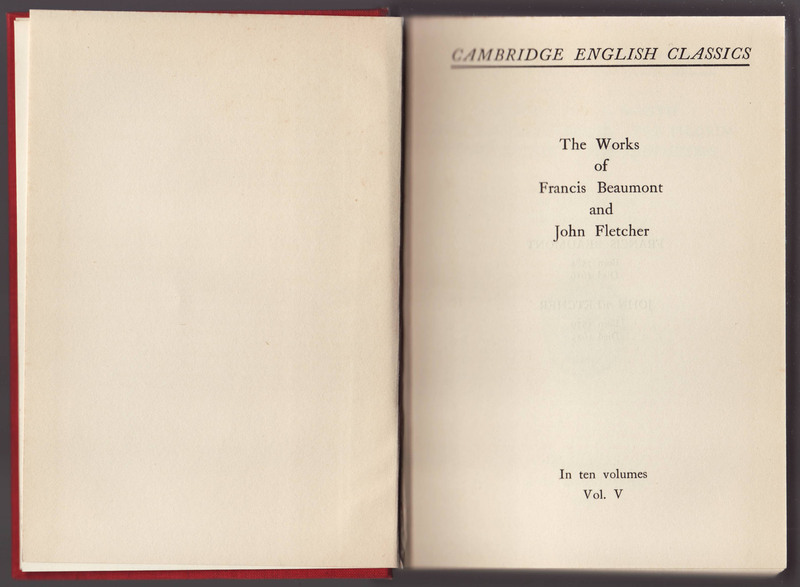 The half-title page includes the series name, title, and series number (out of 10 Beaumont & Fletcher volumes) in the series. 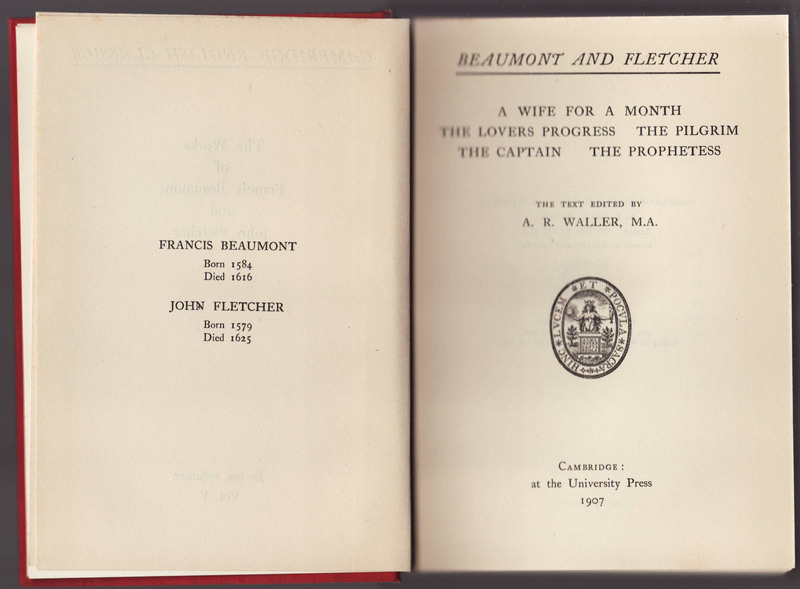 The birth & death years of the authors face the title page. 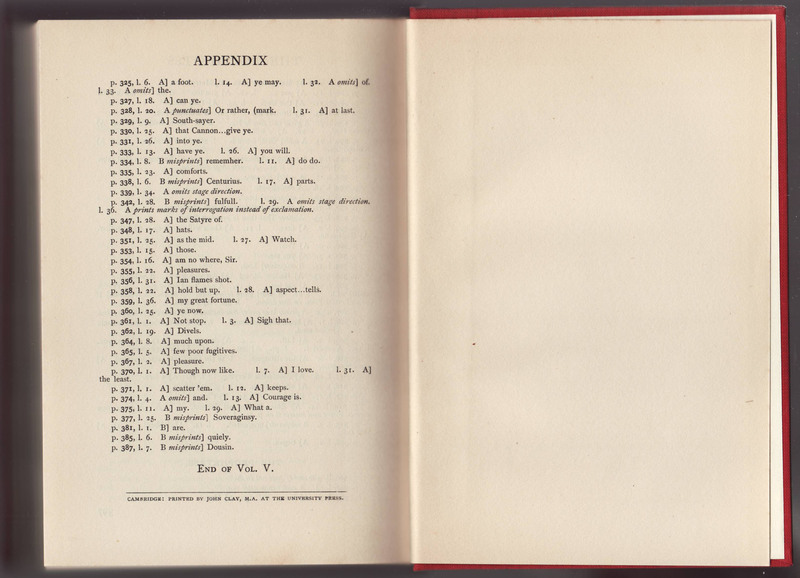 A date (1907) is indicated on this page. As said, I believe this is probably a later printing. 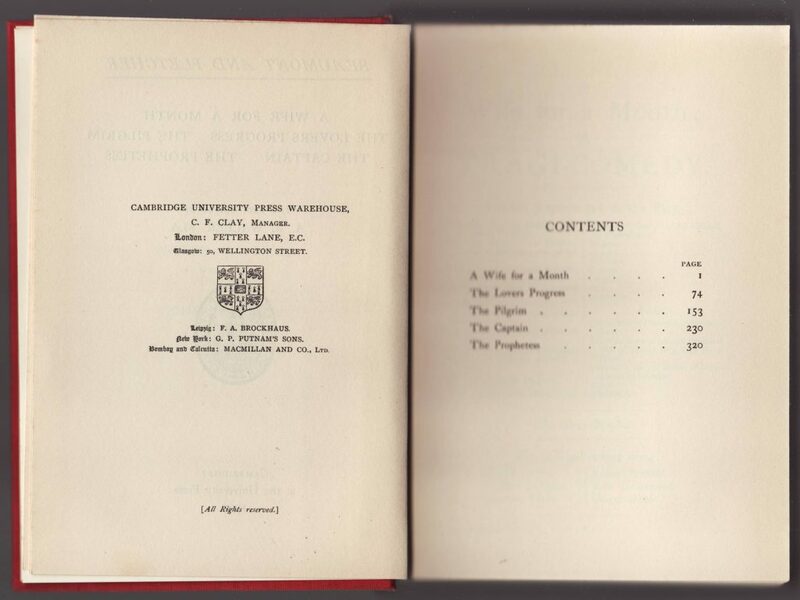 The colophon of the Cambridge University Press Warehouse with details including Leipzig, New York, and Bombay/Calcutta offices is placed on the copyright page, along with a copyright indication.